What is Innovation in Our Community Media for Change Project? Community Media for Change is a student-led journalism and storytelling conference hosted at the International School of Beijing. The mission of the conference centers on the power of media to spark empathy, build community, and create positive change in our challenging world. Our main conference Keynote Speakers are Aaron Henkin and Wendel Patrick of the acclaimed Out of the Blocks podcast, originally from Baltimore, Maryland: Out of the Blocks is a uniquely immersive listening experience that emerges from a mosaic of voices and soundscapes on the streets of Baltimore. A custom-tailored score colors and connects this tapestry of stories hidden in plain sight. Aaron and Wendel will speak about the importance of empathy in media, while spending a week at ISB as resident media experts, activists, and innovators. 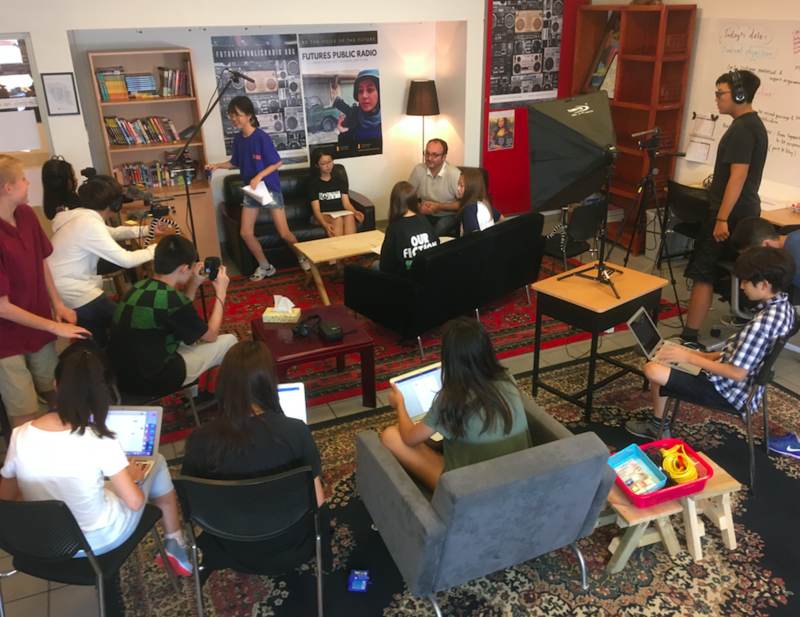 In collaboration with Inspire Citizens Public Radio, a hub for international student and school public media platforms, Out the Blocks is expanding internationally with student journalists around the world including Beijing, Seoul, and Prishtina, Kosovo. Embedded video for What is Innovation in Our Community Media for Change Project? During the second week of the Innovation Project, Futures Public Radio student leaders link their innovative media project to SDG targets. Also considered is how citizens public media can make the world more innovative, empathy-based, and sustainable. 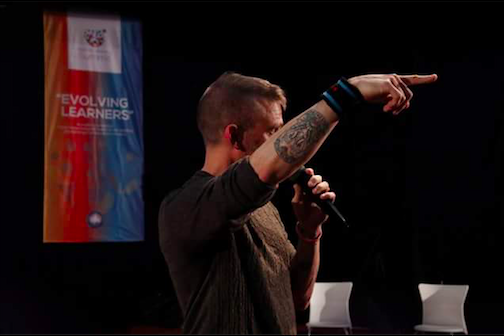 Co-founder of Inspire Citizens, empowering diverse teachers & students towards impactful action built around SDGs and the OECD Global Competence Framework.